An embossed wood-grain texture captures the look of a classic carriage house door. 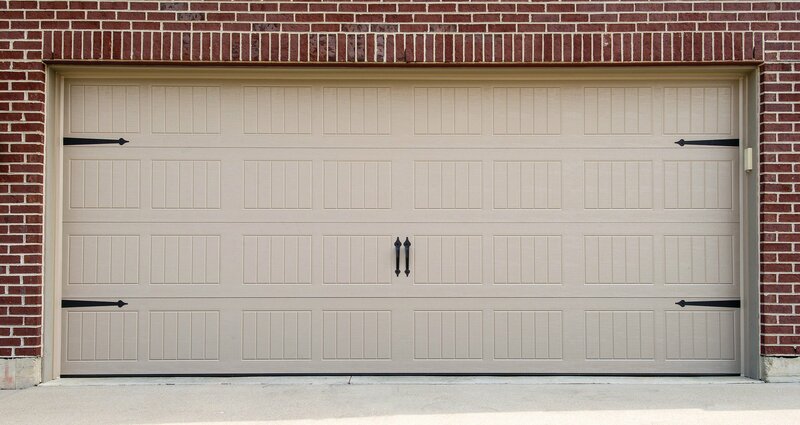 Customize the appearance of these garage doors with windows and hardware for even greater curb appeal. 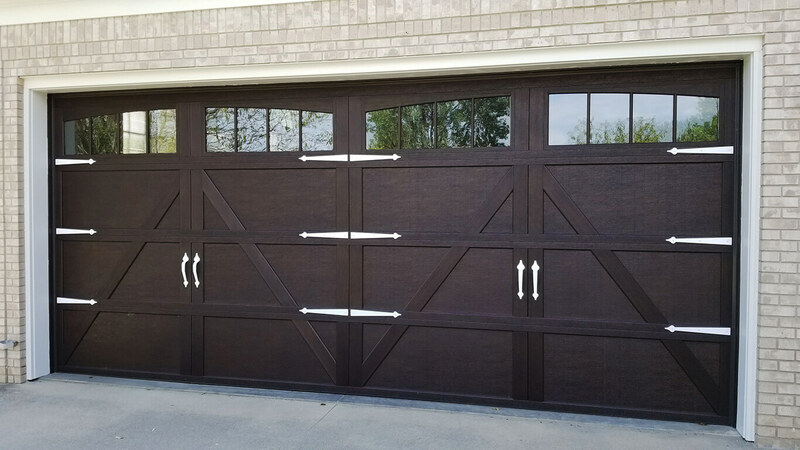 Our carriage house style garage doors enhance the curb appeal of your home while providing superior ther mal performance and durability. Wood Overlay Carriage House doors come in a variety of stained finishes: mahogany, walnut, oak, green, gray, clay, Honduran/mahogany and red oak. 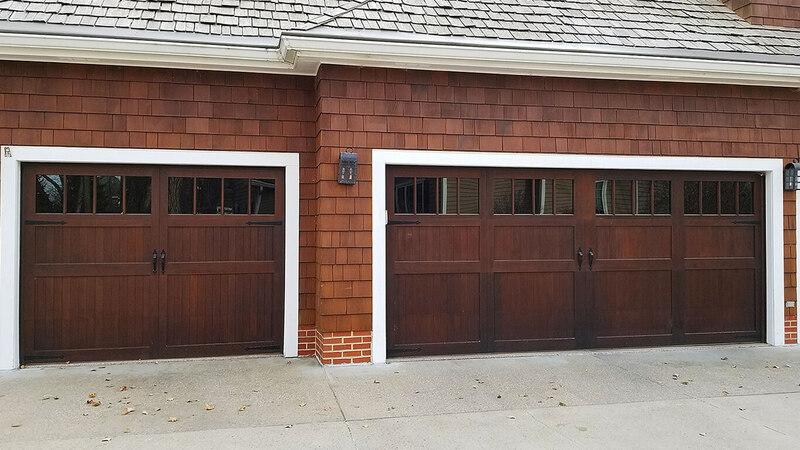 Our  carriage  style garage doors combine distinctive carriage house designs and superior insulated steel construction to create a harmonious blend of elegance and strength. The Steel Overlay Carriage House doors are available in a variety of painted finishes, including: white, gray, clay, green and two-tone option s with white trim boards.